Not everyone finds themselves shopping for a tactical vest but if you are — or buying one for a loved one — you need to take the time to buy the absolute best vest. That doesn’t always mean the most expensive vest or the one that looks the fanciest — you can get a solid tactical vest with great reviews for under $40 and we’ll show how! We’ll also explore what you should look for when buying a vest and outline the different options based on exactly what you need, as one size definitely doesn’t fit all when it comes to tactical gear. Who Buys a Tactical Vest? Tactical vestsBelieve it or not, people from all walks of life buy tactical vests and not just soldiers, survivalists, and law enforcement officers (LEOs). Hunters, campers, hikers, paintballers, and gun enthusiasts often buy tactical vests as they’re designed to not just let you comfortably carry flashlights, knives, ammunition, and clips but to also give you quick and instant access to them. Casual shoppers may be confused by the “tactical” label and assume that these vests are combat gear or for military personnel only. Tactical just means they were designed with a very specific purpose in mind — such as a vest designed specifically for SWAT teams or a vest for soldiers regularly sent out patrol in hostile territory. The features that make these vests invaluable in those situations (such as durability and easy access to multiple items) mean that they’re useful in many everyday situations as well for millions of people around the world. Getting such a carrier is easier said than done though, primary because the type and features of such a carrier will vary according to the role – combat, patrol, foot or vehicular – that you are likely to take on. That said, it is still possible to use a set of universal criteria to provide the prospective buyer with a list of best products available in the market. In the interest of your safety in your military endeavors, we have compiled just such a list and then proceeded to explain the points we used to make our choices so you too can make the vital choice with confidence and peace of mind. We’ve made your task much easier as far as shopping for a tactical vest. We’ve crunched the numbers and collected reviews and have the three best tactical vests below, giving you three different price points, styles, and options when it comes to buying your vest. 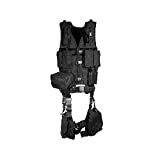 The UTG Law Enforcement SWAT Vest is the best rated and reviewed tactical vest online and for good reason — it’s a great general purpose vest made by UTG, one of the leading manufacturers of tactical gear. If you find yourself every juggling trying to carry a knife, flashlight, or spare ammo and need a dependable way to carry it all, this is the vest for you. It’s extremely adjustable to fit all sizes and impervious to the weather: quilted on the inside for comfort with a weatherproof nylon exterior. It’s also extremely popular with soldiers and LEOs, coming with a thumb-break holster pistol and magazine pouches, and loops for shotgun shells and a radio pocket. All UTG vests also come with a one year warranty. 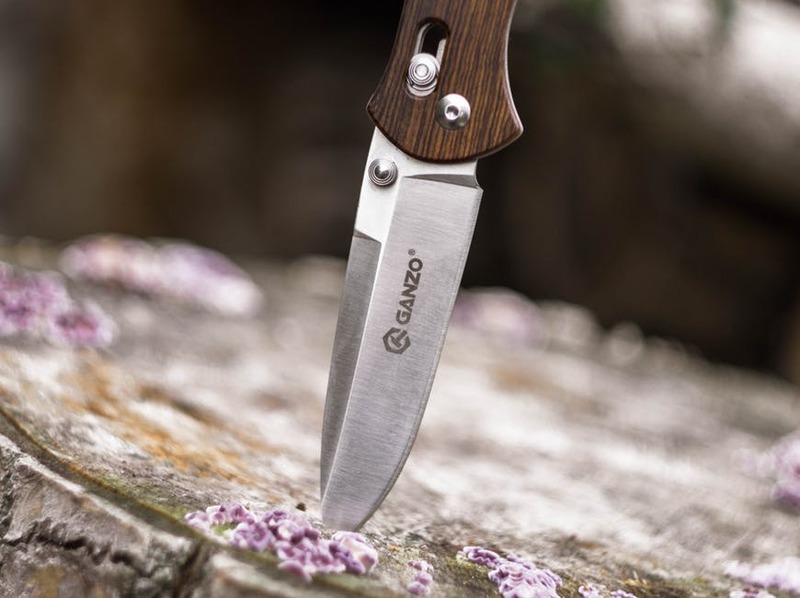 A perennial best-seller, this Condor product provides unmatched durability courtesy of the high-quality nylon used in its construction. At the same time, the rig is designed to provide maximum freedom of movement, and to this end, the traditional chest-covering region has been removed. While this necessitates additional protection for the chest (and the back), it nevertheless provides sufficient kangaroo-closure type ammo pouches to hold six M4 mags and an equal number of a pistol or secondary weapon mags. Further, these pouches are located across the stomach region, thus providing for easy removal of the mags in stressful situations. Further, additional pouches for first aid kits, dump bags, and water bottles can be attached to the sides and the back. With the straps being highly adjustable for accommodating those on the higher or lower end of the height scale, this product easily ranks among the best regarding versatility and all-around utility. The UTG Tactical Scenario Vest is the next vest up the ladder, offering all the great features of the SWAT vest but some nice additional bells and whistles. The Tactical Scenario Vest is geared more towards soldiers and military personnel, with built-in pouches for rifle magazines, grenades, extra room to carry a hydration system, and a rescue handle behind the neck in case you need to be dragged to safety. This is a real deal tactical vest. It’s used in the field, each and every day. It saves lives, each and every day. It’s also very popular with gun enthusiasts who spend a lot of time on the range, as it has plenty of storage for extra clips — including AR-15 and AK47 clips –and is easy to grab and go. It also checks in at a quarter of the price of much more expensive vests that are actually of equal or poorer quality and don’t offer any additional features. The UTG Tactical Scenario Vest is not just one of the best vests but one of the best buys out there. Coming with durable pockets and mesh fiber integration, the best plate carrier option is built to take massive damage and still last for many years. Its USP, however, lies in the numerous pockets that have been built into it, which together guarantee that the product is capable of carrying not only M4 and secondary weapon rounds but also shotgun rounds and other types of ammo. Further, these pockets are carefully spaced out, which makes removing mags from them a simple task. The product even comes with a handgun holster for users seeking to use the product in law enforcement scenarios. Complementing the excellent capacity of the product are padding on the right shoulder and adjustable straps on the sides. While the former allows for better handling of gun recoil, the latter is capable of providing much-needed adjustability. Coupled with provision for additional pockets, these features allow this Modern Warrior variant to achieve high scores in virtually any type of combat. Covered in MOLLE-compatible webbing and built of durable polyester, this product is as trustworthy as any of its competitors. Unlike them, however, Rothco allows users complete freedom as far as the addition of pockets is concerned, and while this may entail additional expenses, it also provides for the addition of the type of pouches one needs. However, it does provide two mesh utility pockets so that the basic needs are covered. Further, it has an emergency drag handle at the back, which allows comrades to remove you from the battle scene should there be a critical situation. Like the previous products we’ve covered, this unit also has padded shoulders, and unlike the Modern Warrior unit, has to pad on both shoulders, thus making provision for left-handed soldiers as well. When considered along with the two quick closure buckles and the front zipper made for one-handed operation, these facets make this unit ideal for situations involving light and medium combat risks. Made of premium quality weatherproof nylon with mesh webbing for superior comfort and durability. The product is a complete solution as far as standard combat scenarios are concerned. For starters, the product not only comes with a range of pockets and pouches for carrying everything from comms and GPS to all sorts of ammunition, but the innovators behind the product have also included drop-leg platform pouches and hydration pouches. Indeed, the product comes with a heavy duty belt, which adjusts with belts from other companies unnecessary. As expected of a top product, some scalable side straps allow the user to modify the design according to his needs. With metal shoulder loops and a drag handle included, the product is capable of providing a comfortable fit to both soldiers and law enforcement officials who require a range of devices in their daily tasks. Meant for both those in the line of duty and those interested in hunting and non-combat scenarios involving gunfire. This product aims at providing the best combination of comfort and lightness by offering a body with extensive use of mesh. Of course, the product allows for sufficient addition of ammunition and other pouches without forcing the user into the lopsided splitting of the load. Further, the product comes with broad shoulders that resemble the design of ordinary jackets. While this may not make the product ideal for some forms of combat, it does provide familiarity to even those new to the field. With a simple buckle system enclosing the body snugly in this vest, it is easy for even non-professionals to use this product. One of the simplest regarding design, this well-built plate carrier allows the user to achieve excellent mobility while keeping his vital organs protected. Also, there are some pockets for carrying ammunition and other vital products, which ensure that wherever the user is working, he can be assured of sufficient supplies. Interestingly, the inclusion of a large number of pockets in a simple design does not create problems of bulk or cause the user to sit/stand in awkwardly. The straps are as simple as the remaining design and can be adjusted for superior comfort by people widely differing in height and body structure. Last but certainly not least is the UTG Ultimate Tactical Gear Modular 10 Piece vest. 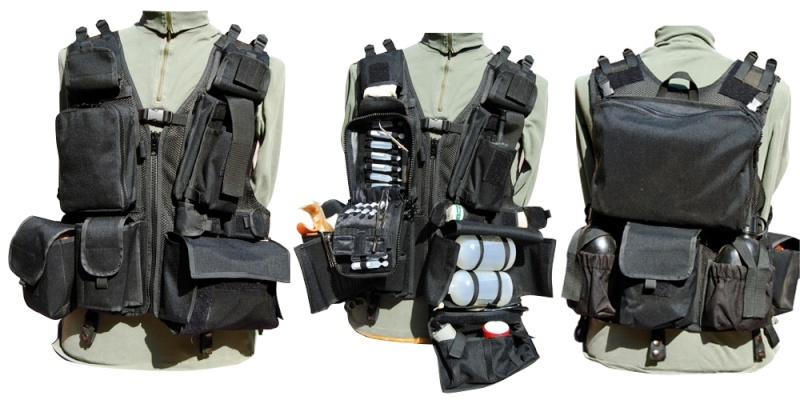 This is the Cadillac of the UTG tactical vest line and stacks up well against any vest in the world. 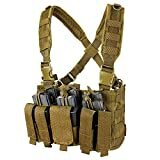 Not only do you get an amazing vest but the kit also comes with modular components such as a cell phone pouch, pistol belt, detachable ammo dump pouch, medic pouch, and a pistol mag pouch. IIt’s MOLLE-compatible so you can put it together exactly who you need and want it, using different modules depending on what you need. It’s very popular in the field — with many soldiers buying it on their own instead of using Army-issued LBE — as well as with police, SWAT, hunters, you name it. The UTG Ultimate Tactical Gear Modular 10 Piece vest gets amazing reviews at Amazon and for many is the best — and only — tactical vest they’ll own. Now that we have seen the various best plate carrier contenders, it is time to see just how these contenders were chosen, and how you too can make such choices with ease. Duration of the event – While law enforcement officials may be sent in for short durations of intense combat, soldiers or those participating in war games would have to last much longer on the field. If the latter is the case, hydration unit carriers and products with low weight are ideal. Nature of terrain – If the terrain is expected to be essentially outdoors, it will involve lots of crawling. This involves massive wear and tear of the product concerned and can lead to premature ruptures if products of sufficient durability are not purchased. Units made of weatherproof nylon are ideal for this purpose. Nature of equipment to be carried – The nature of equipment to be carried has a direct bearing on the number of pockets required, and this, in turn, decides how light or heavy the product is. If only sidearms and a few rounds are needed, light vests are sufficient, while for longer and more intense conflicts, it is important to have multiple pouches. Ease of access – It must be easy to access the mags when in a critical situation without having to move one’s finger from the trigger. The best plate carriers thus have their pouches at the front and in some cases, on the sides. Those with pouches at the back are not ideal, and should only be used if one doesn’t expect to need to load the weapon during combat (which is extremely unusual). Hydration and first aid – There must always be provision for carrying tourniquets, first aid boxes, and equipment for keeping the body hydrated. This is especially important for scenarios involving long periods of conflict, where lack of water can cause serious health issues and reduced mobility. Further, the availability of an easily accessible first aid kit means a comrade can easily service the user should he be injured. While the nature of the combat involved decides the nature of the best plate carrier to a large extent, it can be said with some certainty that good quality materials, sufficient number of pockets and good fitting and adjustment options are a must for any type of mission. The above products contain (or have provision) for these features, and can help you make your purchase quickly and without confusion. A tactical vest can be a useful clothing accessory for many people’s closets. Although typically thought of as a military, or law enforcement item, this particular piece of attractive attire can benefit people in numerous capacities. Fans of paintball, hunters, fishers, and firefighters can all find a use for this accessory. The versions of this attractive and convenient piece of personal equipment that is issued to the military are usually made of a durable yet lightweight material. On the other hand, these clothing accessories that are manufactured for use by consumers are typically made out of nylon to keep the unit light weight, and to keep the cost more reasonable, although they are available in other materials for the general public as well. Many of these have the option of PV waterproofing so that the person will be comfortable no matter what kind of weather they are worn in. Hunters and fishers find a tactical vest to be a necessary, and useful, piece of gear. Having one with an abundance of large pockets with wide openings that are easy to reach into makes a day of hunting and fishing go by much smoother. There is ample room for all the ammunition, or fishing lures and hooks that are needed as well as any knives or other tools that could be necessary for tasks that come up. Indeed, some manufacturers offer a specialized tactical vest that includes pockets large enough for a first aid kit, water bottle or canteen, food, and lots of other pockets that can be customized by you to make this piece of clothing accessory work for you. If paintball, rather than hunting or fishing, is your sport, you will find a vast selection of specialized clothing items to make your enjoyment of the game skyrocket. 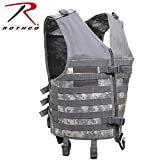 Ranging in price, depending on the features, there is an affordable tactical vest that offers what you need to maximize your gaming strategy. Available in black, camo, and perfect camo, among other patterns, these sporting accessories offer you a range of storage options. You will find places to store extra paintballs, air canisters, and other necessary equipment. Also, some models include a foam insert that can offer some protection from a direct hit from a paint ball. This insert can be removed during rising temperatures, or at other times when the user does not desire its use. Also available are options that resemble just the necessary pieces of a full unit with padding at optimal sites. 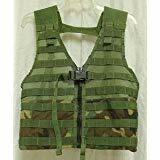 For the military, as well as law enforcement, a tactical vest can be made of almost any material. Some are lightweight and offer the option of wearing bullet proof armor underneath it while others have the bullet proof armor sewn right into the fabric itself. Still others, however, have pockets in which to insert armor when it is deemed necessary. In that case, this piece of clothing becomes much more versatile as it can be used both with the armor and without, whichever the user needs at any given moment. Tactical vests are used for some reasons. If you are in the police force or military personnel, then a tactical vest is both a safety concern and a practicality concern. There are hundreds of different vests to choose from, which range from mesh vests to concealed vests, as well as bulletproof vests. The vests are usually designed to be combined with a separate shirt for maximum comfort and usefulness. Tactical vests should also be able to store objects and attach to various hooks if necessary. It’s always best to buy a jacket that can be custom sized according to your chest dimensions. An ill fitted vest will be uncomfortable and stiff, so try to get as close to a perfect fit as possible. Your vest should allow you to move smoothly without interruption. Some tactical vests are available in an adjustable size. The shoulder straps, waist straps, and chest straps can be adjusted according to your body size. Not all are one size fits most, but some are. These are especially good if you bulk up from training routines. 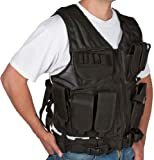 Do you need a bullet proof vest or just a padded vest with pockets? Knowing exactly what kind of vest you need is a huge help when determining what type to buy. It is useless to buy the kind of vest that you don’t need, so always go with what you need and maybe one with something extra. There are hundreds of options, so look around. If you are in the military, they give you one by default, but if you want one for personal use or an upgrade then determine what features you need. Pockets and holsters are always needed to store food, weaponry, and other needed items when hunting, hiking, or on a battlefield. Tactical vests make everything easily accessible, which is useful when you need to be on the move. Another benefit is that they distribute the weight of what you are carrying. Some vests have the capability of holding a hydration pack on the sides or back of it. This allows for instant hydration anywhere. These are very important to have, since carrying a water bottle or another water carrying device is impractical and tedious when you need to be constantly moving. A basic tactical vest will run between $25-$40, and more advanced types will cost much more depending on features that are included in the vest. Multiple pockets for pistols are helpful to have. Belted pockets for ID cards and money are also highly recommended in any tactical vest. These vests are designed to be fully featured and specialize in heavy duty materials that are virtually non-destroyable. Some are fireproof and waterproof, which only adds to their security and safety. Some have straps that are easily cut for an emergency removal. This is most necessary in military battlefields. Usually, these are heavier and more durable, but lightweight deluxe vests are available and a good option if you don’t need the extra weight. Having extra holsters are useful, and they should be positioned based on which hand you use for shooting. Left-hand users will need a holster on the left, and vice versa. This makes for a comfortable and easy to pull out the holster that can be crucial to your survival in heated situations. Paintball is a sport that can be painful if you are not properly protected. Paintball tactical vests are useful for aggressive players that want extra protection. These vests will weaken the blow of the paintballs and provide a much safer way to play. This is great for young children and anyone that may have a health condition. Most paintball vests are hard and have a few slots for extras that you may need while playing. Buy a tactical vest from a reputable company and test it out before committing to it. If you prefer a different style, buy what works for your needs. Not all tactical vests are for military use. They can be extremely useful for hikers and hunters.